It is hard to believe that the New Year is already here! This past year flew by in some aspects and slowly crept along in others. Right? My family experienced so many changes this year – some unexpected and other planned out and executed. At this time last year, I had a brand new baby and now she is already a year old! It’s been interesting juggling seven kids with all we have had going on over the year. But, it has been an adventure! My business has also exploded in a way I didn’t know was possible and I am so grateful for that. I have been able to support my family this year, through many ups and downs. It has been quite the year! I look forward to seeing where this next year brings us. With that said, many women have been reaching out to me to see what I am doing for my health and fitness. I know that January is always the time that people set new fitness goals and I want to be there to help you out! 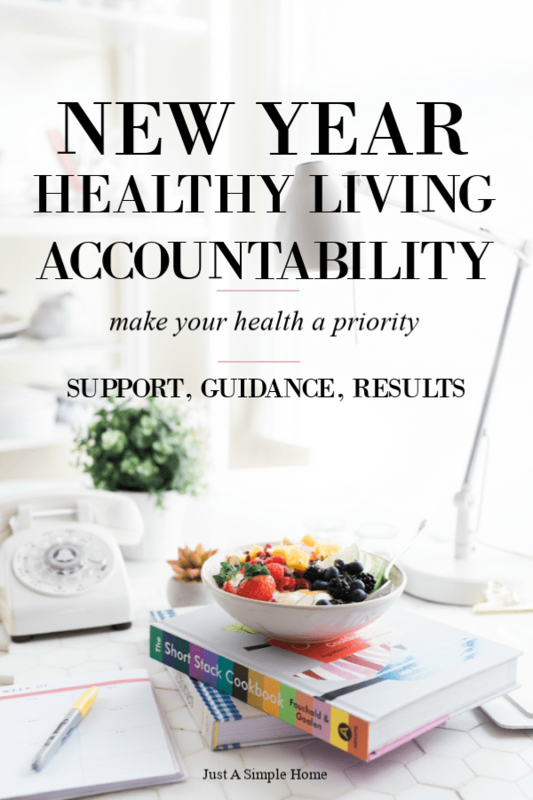 I have two new health and fitness focused accountability groups that I am launching in January! You can chose which one is best for you based on your own goals. I will be there every day to help you with meal planning, encouragement, accountability, nutrition and more, so that you stick to the goals you set for yourself. I know how it feels to struggle with my own health as a busy mom and it is one of my passions to help other moms through it. This group is going to be focused on the newest Beachbody program called Transform :20. This fast, super-intense fitness program created by Shaun T will transform your body and mind in just 20 minutes a day, 6 days a week. Yes, that is really it! Super effective for a busy mom! You’ll work your core, legs, glutes, and upper body with no equipment except for an optional stepper! Each workout is different and will be done in real time with the cast so there will be no repeats or do-overs. I’ve started my prep group for this program already and my clients are having so much fun with the free Transform :20 workout and the prep schedule in our VIP group and they are excited to start on the 14th of January. We are using Shaun T’s hybrid calendar to get ready for the start of the program now, but it is not too late to join in. The Transform Your Life in 2019 will start a prep week on the 7th of January and will officially kickoff on the 14th of January! The program runs six weeks long and will end at the end of February! Busy moms- we can all find 20 minutes when we really want to make it happen! Those looking for a simple at-home solution! This was key for me when I started working out because I didn’t want to drag my kids to the gym and I didn’t have the time to do it all. Unlike the Transform :20 group, this group will not focus on one particular program. I will help you pick the best fitness program for you, based your goals for the next six weeks. The New Year New You Group will start prep on the 7th of January and our official start date will be the 14th of January! The program runs six weeks long and will end at the end of February! I know a lot of you are so sick of starting over with your health and fitness goals at the beginning of each year! I am going to make sure that this year is the year you create a new you. Maybe you’re stuck in a rut mentally, physically, or emotionally. Maybe you have 10 pounds to lose or maybe you have 100 pounds to lose. I am going to help you kickstart your year on the right foot!! We are going to work on setting small, achievable goals that will build up to your overall health and fitness goals. Simple! Fill out the form below so I can find out more about you and your goals. Then, I will help you get set up with the right program for you as well as a superfood shake that I have been drinking for about five years. Fill out the application below and let me know which group you are interested in and I will reach out ASAP to get you all set up!! Definitely agree that exercise can be hard to fit in as a busy mom! I’ve gone back to a quick video I can do in the mornings before my crew wakes up. Love that you’re doing something to help other reach their goals. This isn’t the right time for me to join, but perhaps if you do it again in the future I will. Happy New Year to you as well, Edith! So true! and the challenge sounds exciting! I have already got on a challenge for this year, and have learned not to take many things at once! But love that you are offering and simple solution that does not take much time! Happy New Year! The New Year, New You Challenge Group sounds wonderful! I have been participating in WW, formerly Weight Watchers, and I love the accountability and motivation they offer. It’s not just about weight loss but about being healthy and feeling well. I fell off the wagon at Christmas, but I am doing much better now! This is my third day back on the program, and I already feel better! Good for you! I did WW many, many years ago. My husband and I were talking about this all week. It’s time that we make some big changes. I am the queen of making excuses! I’ve wanted to try some of the other Beachbody programs. Are you able to answer some questions about those? Of course! I can answer any questions you have! It’s soooooo great that your hubby wants to do it with you. It makes it so much easier. You can both join my group if you want. What questions do you have? You can email me too. Signing up provides one with a great accountability tool for becoming and staying fit. I love the idea of an accountability group!